Here’s a sample of Jon’s consistently rave reviews. You really recorded a strong album …a very good selection of songs recorded with both talent and good spirit ..your voice and your efficient fingerpicking are such a pleasure…nothing ostentatious, you just found the perfect way to make these songs shine….Excellent, really…. Jon Shain’s sly Piedmont roots feel authentic and fresh on last year’s Reupholstered, which exceeds even his high standards. Jon Shain brings a fingerpicked folk sound that sparkles like fine crystal with similar delicacy and scintillation. He’s well versed in Piedmont country blues but equally adept at soft-spoken story-songs, delivered in a dry, easygoing tenor. Jon Shain’s latest solo album, Times Right Now, is his usual stew of country, blues, ragtime, and bluegrass. Shain continues to put out high quality tunes that are executed exceptionally and full of southern flair. There’s no denying the technical skills of Jon Shain and his bandmates. They do a great job of expressing the subtle differences among the various styles. Their blues has a grit to it and their ragtimes display humor. 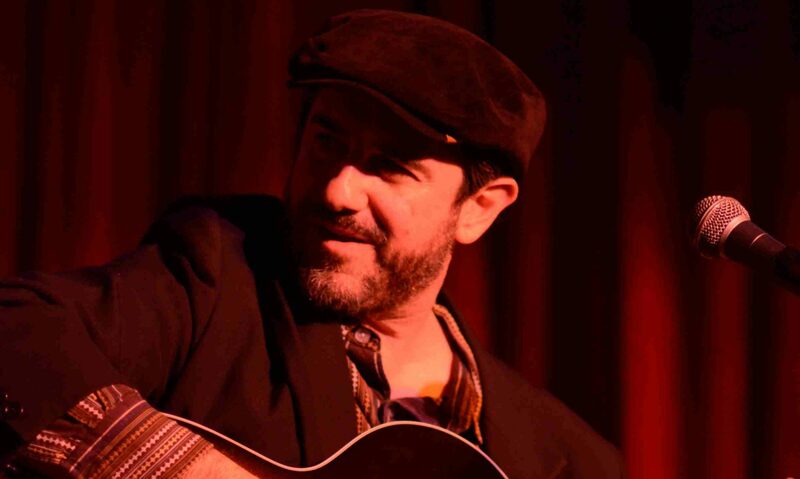 What makes Jon Shain’s Army Jacket Winter rise above the wealth of earnest singer/songwriter material available is the charming atmosphere he creates. Shain is a blues guitar guy with terriffic Piedmont style finger picking chops, but here he proves that he’s a songwriter, too. The clean production makes each arrangement shine and his band is top notch…. Jon Shain is proof that singer/songwriters with brilliant acoustic fingerstylings and insightful lyrics are still around and going strong. Shain’s Army Jacket Winter is an array of stories about love and restlessness, backed by acoustic/electric guitars, accordion and dobro. Fans of Keb Mo, Jimmy Buffett and Randy Newman will dig Shain’s mood on this album. The first person that came to mind while hearing was Jeff Tweedy, that honesty and upfront feeling of a voice, guitar, and a harmonica, nowhere to run but into your consciousness. Many of his songs are about emotion, whether those he feels, or observing the world and wondering what the next man or woman is feeling. This is evident in pieces such as “Another Month Of Mondays”, “To Rise Again” (a song about a post-Hurricane Katrina New Orleans), and “Throne Of Gold”, where the passion in his voice, the lyrics, and his playing is enough to make you want to open a bottle and drink your miseries away…Is Shain a depressing songwriter, not at all, but that tradition of writing blues-influenced lyrics with country and folk compassion is what makes his songs work. It’s honest and to the point, it will make you want to yell out loud “Yes, Jon Shain, I know exactly what you mean.” Shain deserves to be heard, and I hope he will continue doing this for many years to come.